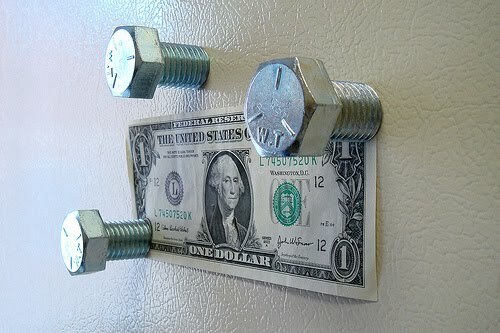 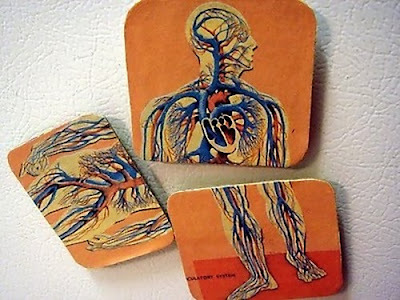 Collection of 'Cool Fridge Magnets and Creative Fridge Magnet Designs' from all over the world. 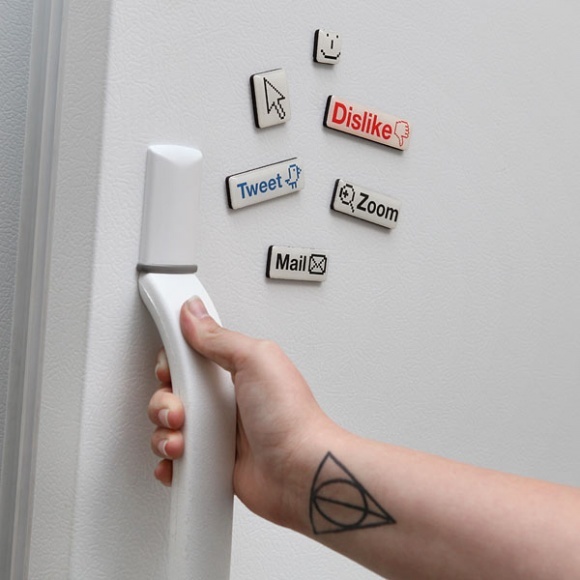 Social Media Fridge Magnets: The set consists of 22 fridge magnets, each with a big dash of social media flavor. 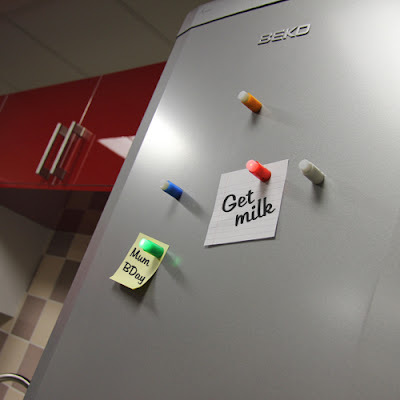 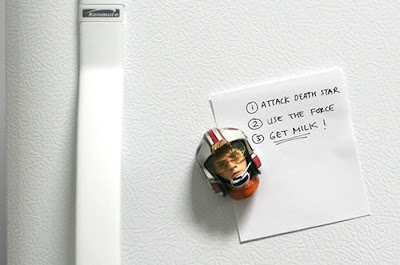 Pin Light Magnets: If you want someone to observe an important memo on the fridge, these cool colorful light fridge magnets are an interesting option. 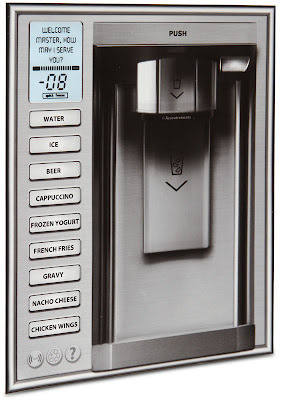 Refrigerator Upgrade Magnet: It's a flat magnet, that gives gives you gravy, nacho cheese, chicken wings, and other fun drinkables. 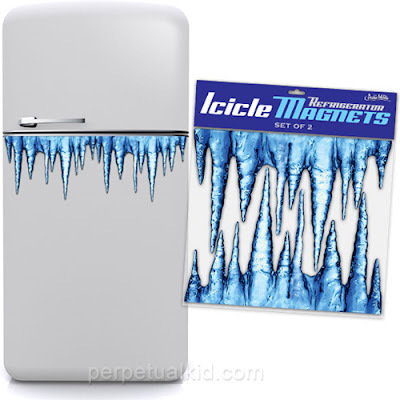 Icicle Fridge Magnets: Add some flair to your refrigerator with these icicle magnets. 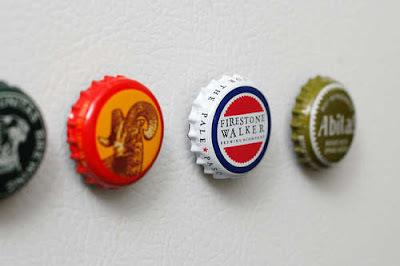 Bottle Caps Fridge Magnets: These look quite simple and are easy to make. Keyboard Fridge Magnets: It's quite easy to make, all you need is an old keyboard, some magnets and a thin cardboard. 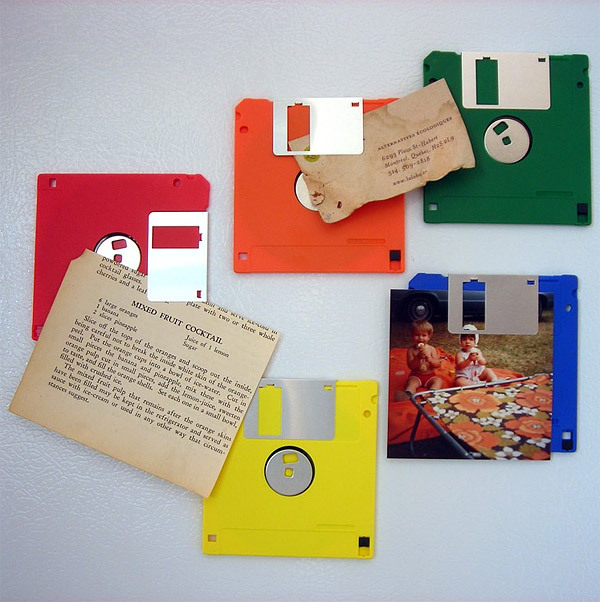 Reused Textbooks Fridge Magnets: These unusual refrigerator magnets are made from old used kid's books and textbooks. 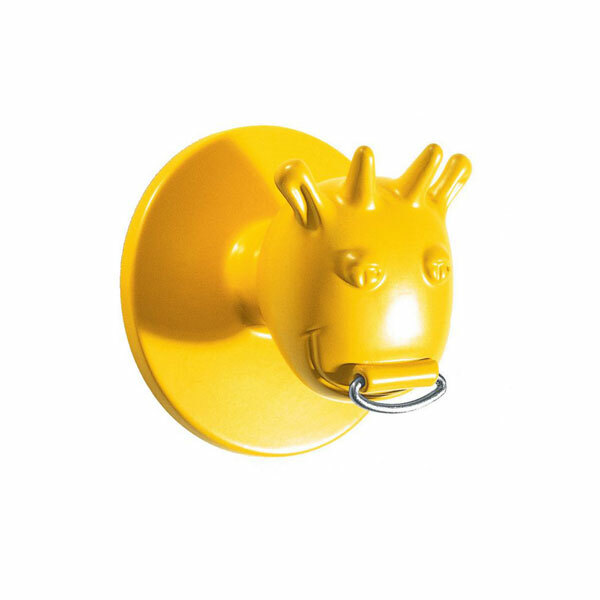 Fridge Magnet Hooks by Alessi: This cool and unusual fridge magnet comes from Alessi and its designed by Gabriella Giandelli. 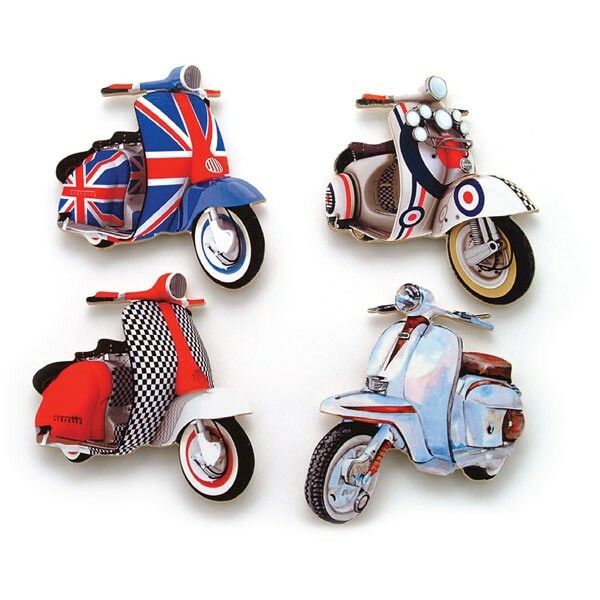 Scooter Fridge Magnets: It consists of four large colorful shaped magnets, featuring Vespas and Lambrettas. 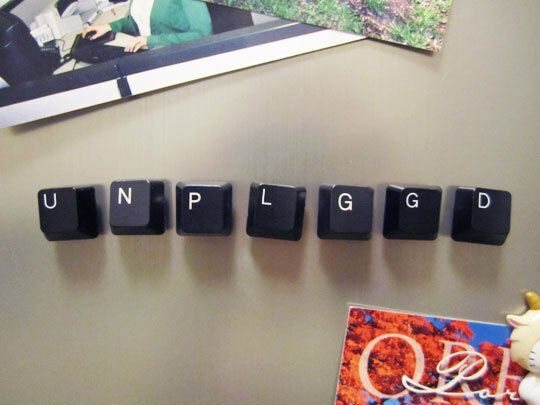 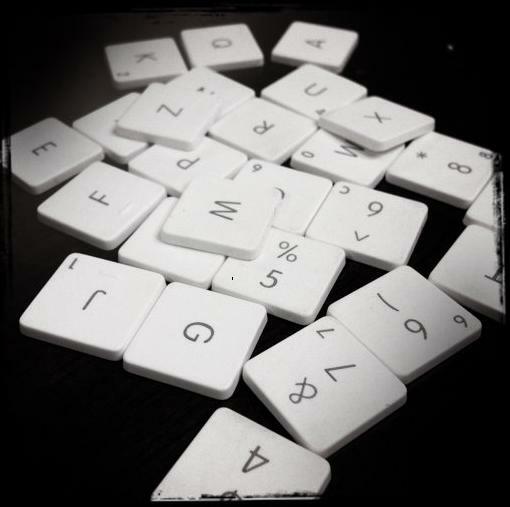 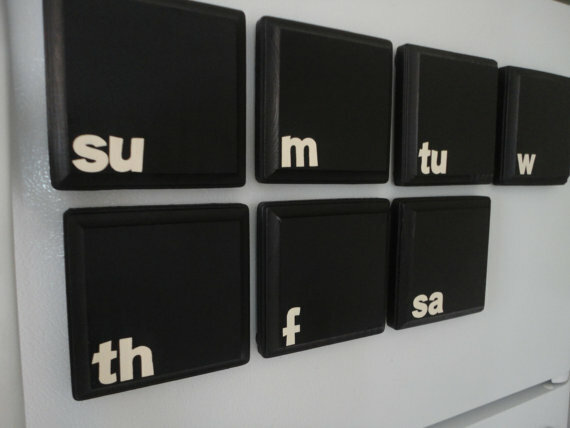 Apple Keyboard Fridge Magnets: These are handmade from used Apple keyboards and it includes every letter of the alphabet and the numbers 0-9. 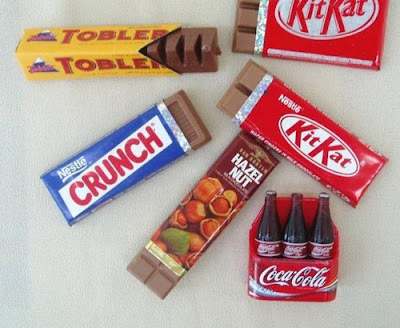 Don't miss to check out "Cool Fridge Magnets and Creative Fridge Magnet Designs - Part: 1| 2| 3| 4."